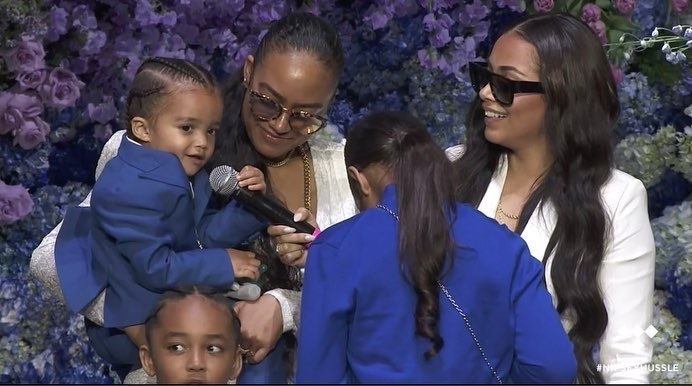 "Ermias Told Me It Was Like In Paradise"
Lauren London and Nipsey Hussle’s sister, Samantha Smith, brought the late rapper’s kids onstage to pay tribute to their father at Nipsey Hussle’s memorial service on Thursday (April 11). 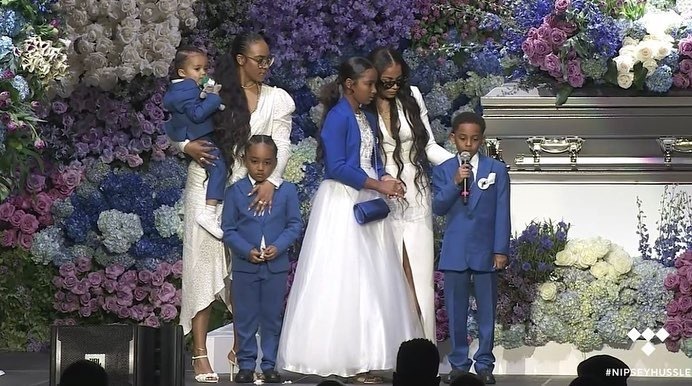 Kameron Carter, who is Lauren London’s son with rapper Lil Wayne, gave an especially touching tribute to Nipsey. Nipsey Hussle’s daughter, Emani Asghedom, did not speak at her father’s funeral because she was too nervous. Kross, Nipsey and Lauren’s son together, babbled into the mic, to the delight of the audience. Nipsey Hussle was killed in front of his clothing store, Marathon Clothing, on Sunday, March 31, 2019. The rapper was 33-years-old at the time of his death and in transition to making South Los Angeles a better community in which to live and do business. Nipsey precedes his children, sister, mother, brother, and grandmother in death.